Thanks to our national and provincial partners, this program is successfully re-launched by the Food Processing Skills Canada (FPSC). 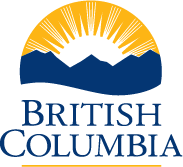 The funding they continue to provide will ultimately improve food safety standards across hundreds of businesses in the province of British Columbia. Canadian Agricultural Partnership (CAP) is a renewed $3 billion federal, provincial, and territorial government commitment to support agriculture. The Post-Farm Food Safety Program is specifically designed to support agri-food businesses in improving food safety systems and practices, which in turn contributes to BC jobs, the economy, and diversifies rural communities. PFFS Program benefits greatly from CAP and its funding. 3. Expanding domestic and international markets. Funding was provided by the Canadian Federal Government to support and continue with Canada's top food safety reputation. A recognized leader in education and program delivery, the FPSC supports the Post-Farm Food Safety (PFFS) Program with program delivery, courses and training.